Chris Bitting – Random, I know. If you’re like me, you’ve probably stored latitude and longitude data in decimal columns for a long time. I know SQL Server has a geography type as of a few years ago, but I never really played with it much. Anyway, I finally tried it, and so far it’s great – and no individual decimal columns – and I can do calculations right in SQL. A few years ago I showed how to use Microsoft’s Log Parser tool to take IIS log files and import into a SQL database. From Microsoft: Log parser is a powerful, versatile tool that provides universal query access to text-based data such as log files, XML files and CSV files, as well as key data sources on the Windows® operating system such as the Event Log, the Registry, the file system, and Active Directory®. You tell Log Parser what information you need and how you want it processed. The results of your query can be custom-formatted in text based output, or they can be persisted to more specialty targets like SQL, SYSLOG, or a chart. But, if you’re importing tons of records, it might seem to take a while. BUT: you can use the option “transactionRowCount” to gain some performance. The transactionRowCount option determines how many rows are included in each transaction. By default, transactionRowCount is 1, so after every row, the transaction is committed. If you set it to “-1” it will include everything in 1 large transaction. 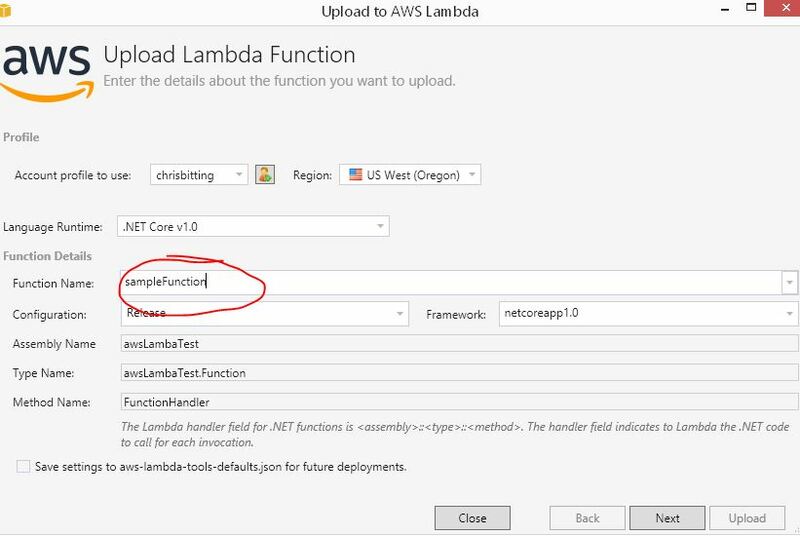 Creating a simple, serverless app w/ AWS Lambda is fairly easy, but some documentation out there is outdated or using the preview toolkit. Below are some steps that show how to do this today, in a few steps. 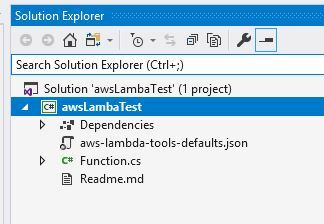 I’m using Visual Studio 2017. I’m also going to assume you already have your AWS credentials on your machine, if not, that’s a different topic. 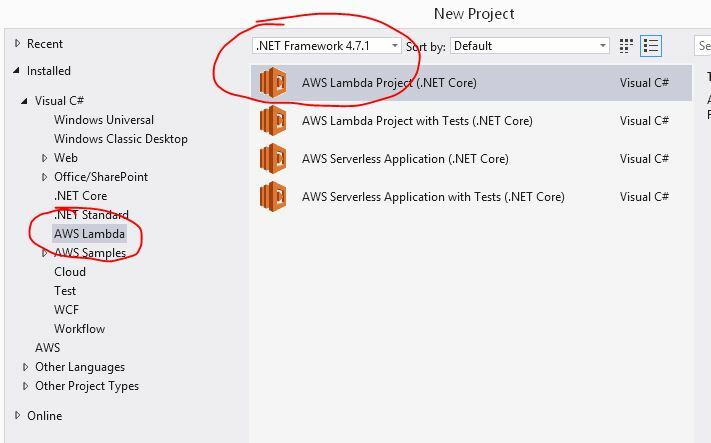 Install the AWS Toolkit for Visual Studio 2017 for Visual Studio. 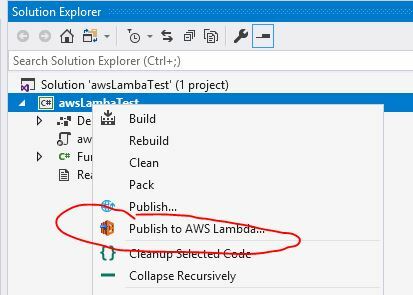 This is required to give you the project templates. At the Blueprint choice, choose “empty” then click “finish”. 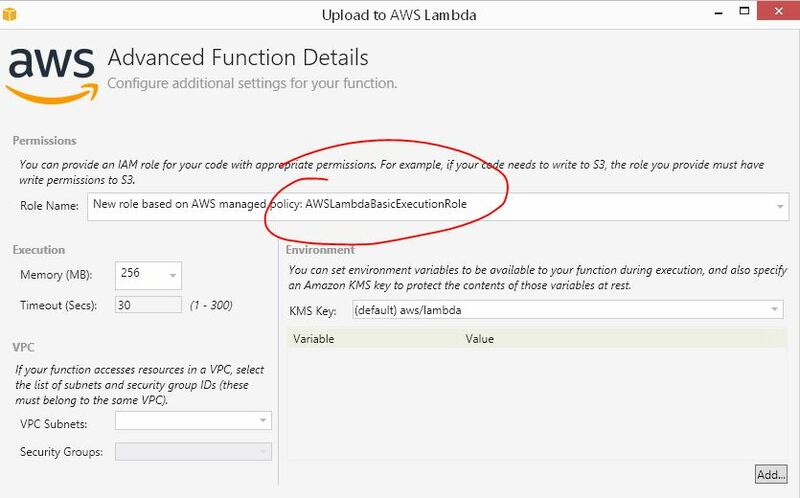 Now choose a role, the lambda_exec role is fine, then click “upload”. 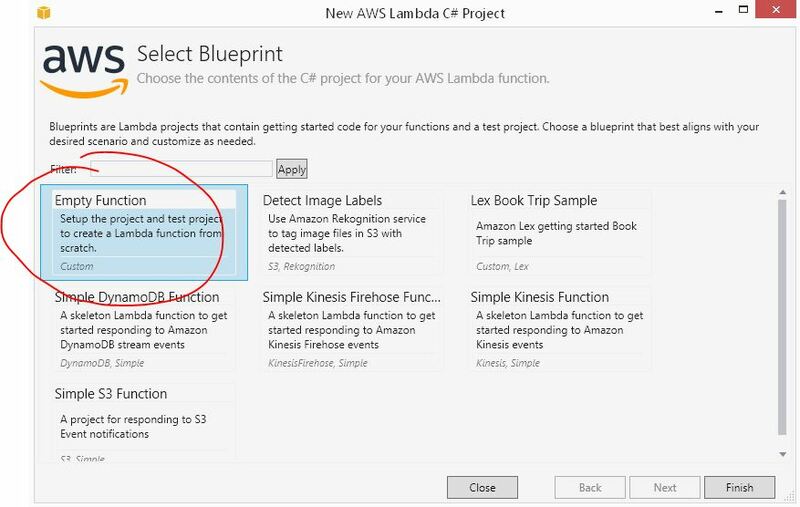 By default, the Lambda Function view will appear – this allows you to test your function. If you enter a string in the box under “sample input” and press “invoke”, you’ll see your function response.